I think I beat my record with this cake. An emergency request for a cake last minute. I figured at some point something like this would happen. My friend who pleaded for a last minute miracle was actually very lucky because I happened to have everything on hand since I was working on other cakes. So I had my square cake freshly baked and cooled, a chocolate devil’s food, and I whipped up some milk chocolate ganache and threw in some roasted hazelnuts I had on hand. 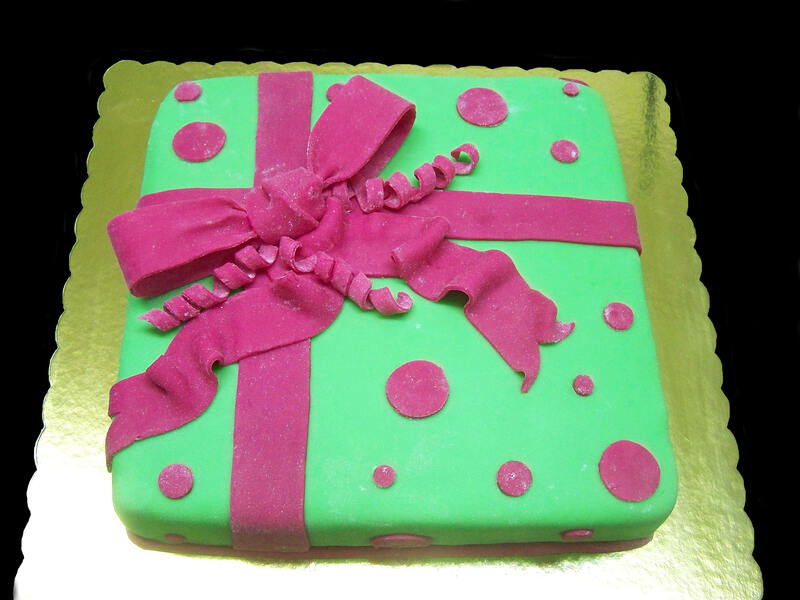 Used the colours I had plenty of which were this lime green and fuchsia and wrapped up a gift, in 40 minutes! And after a short pause to make the present cake I got back working on this cake. 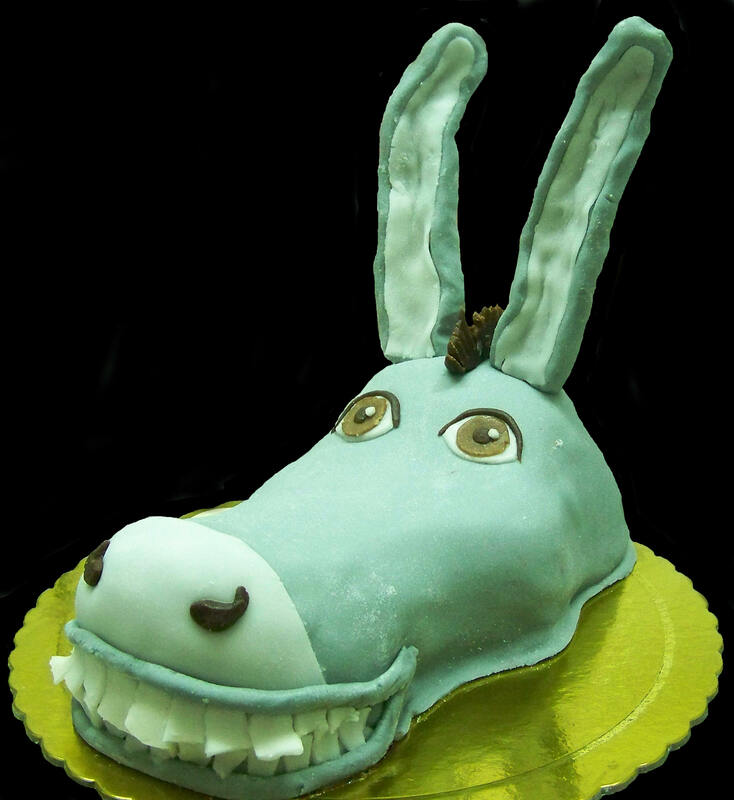 It’s the donkey in Shrek! Chocolate devil’s food with dark chocolate whipped ganache. I love his smile!